*Please note: we can take reservations for parties of SIX or more. Please email OLDCOMPTONSTREET@PATTYANDBUN.CO.UK for more info. 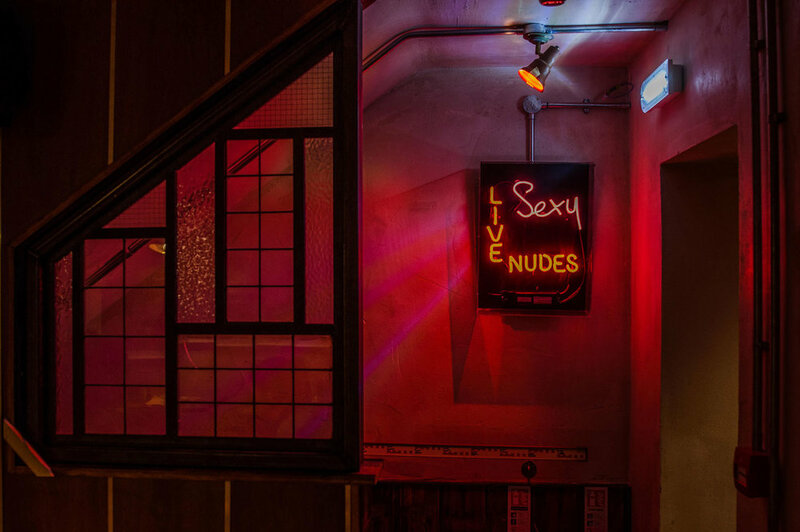 At our Soho shop there’s a space downstairs that's ideal for reservations for groups of SIX up to 18. Perfect for pre-theatre dinners, birthdays feasts and just for the sake of it. 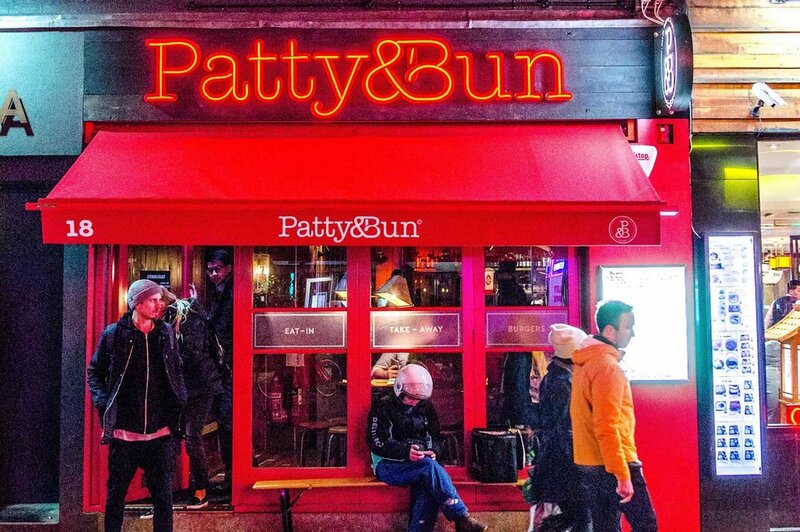 Whether you’re celebrating a birthday party, Christmas party, office party, or you just want to enjoy Patty & Bun with a gang of your closest mates, Old Compton St is here to help. for more info and pricing. STOP BY TO ORDER YOUR LUNCH OR A PRE THEATRE TREAT! YOU CAN PHONE AHEAD TO ORDER TOO BUT TRY TO CALL BEFORE 11AM FOR COLLECTION 12PM ONWARDS. OLDCOMPTONSTREET@PATTYANDBUN.CO.UK to discuss your order at least 24hrs in advance. We’ll even bring it to you! For larger orders of over 20 burgers, we will come and deliver ourselves. Please give at least 24 hrs notice. To discuss, please email us or give us a call. City Pantry are a b2b provider to offices and corporate events. We’ve teamed up with City Pantry who handle all our corporate and event orders. (Within 2km radius) for orders under 15 burgers click the link below and our friends at Deliveroo will be round in a flash. (Please note that at peak times we may not be able to take your order, but will do our best! Minimum order is £15, and prices may vary from the regular in store menu). OLDCOMPTONSTREET@PATTYANDBUN.CO.UK – To speak to someone directly about this site.